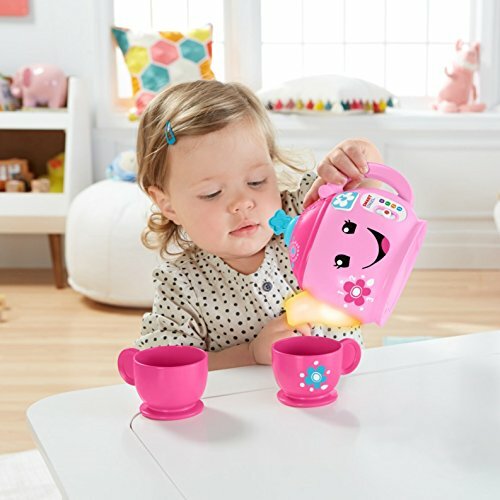 Pinkies up! 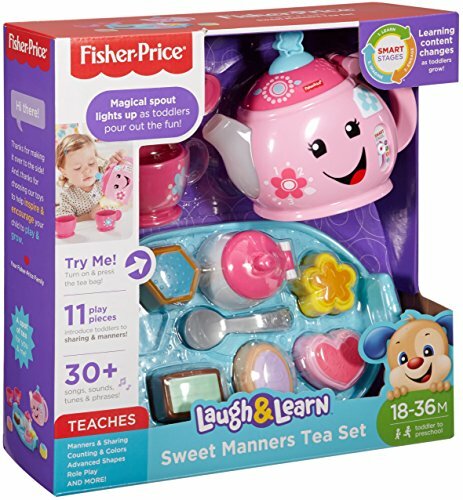 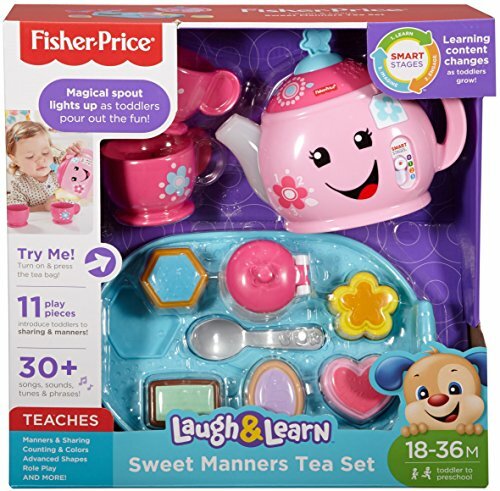 Tea time is extra sweet with the Laugh & Learn Sweet Manners Tea Set and its magical, light-up teapot. 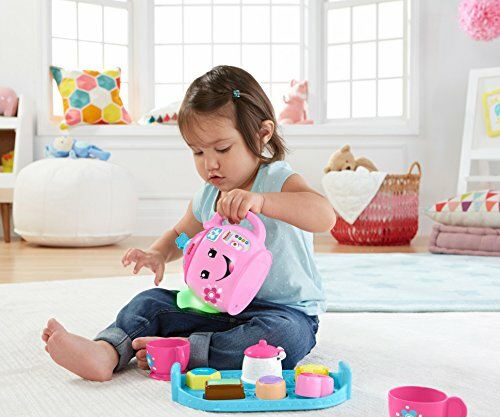 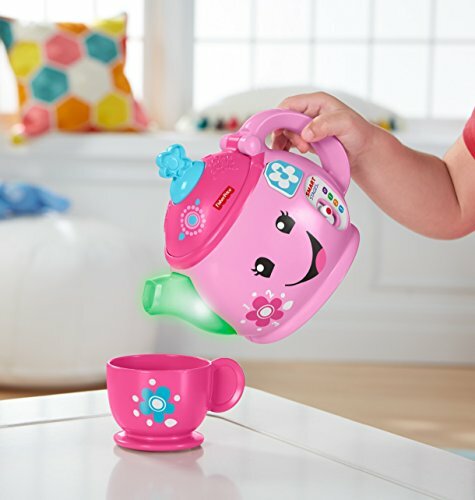 As toddlers “pour” out their tea, the spout lights up and plays fun songs, sounds, and more! 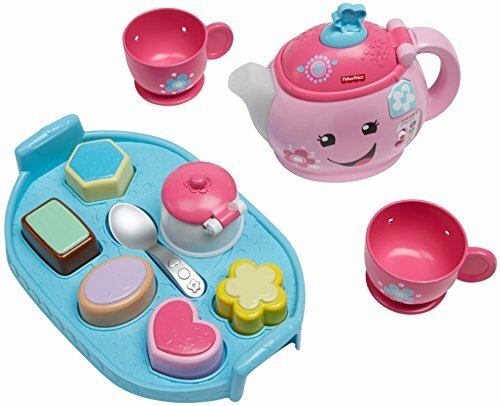 Press the tea bag button for even more fun songs and lights! 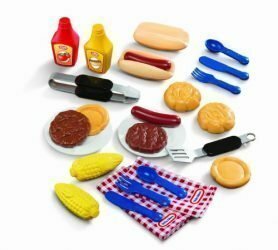 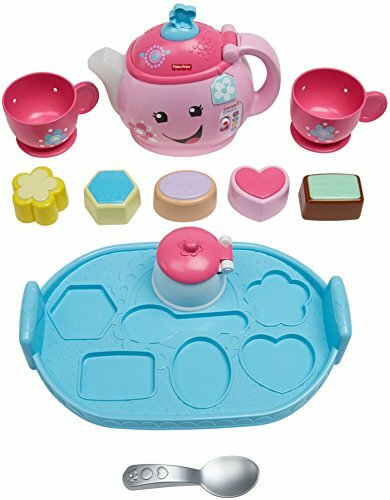 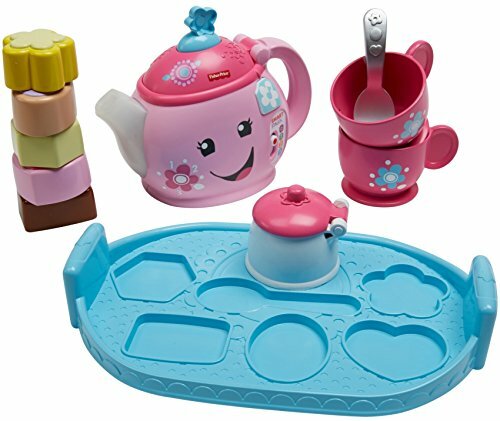 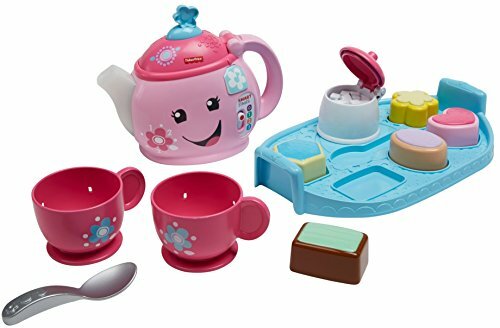 And with two tea cups, a sugar bowl, and a tray full of puzzle-play “treats”, this adorable tea set is perfect for sharing a spot of play with a friend—introducing your tiny diner to manners. 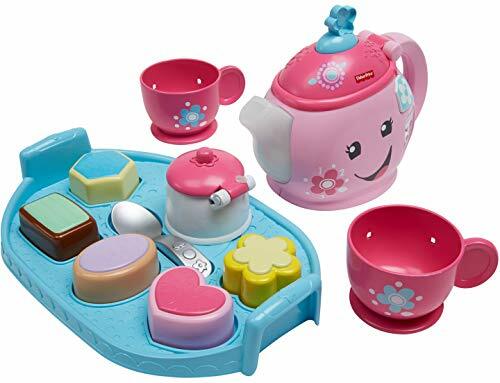 Plus, the tea set includes three Smart Stages levels with different songs, sounds and phrases, so the learning fun can keep going as your child keeps growing! 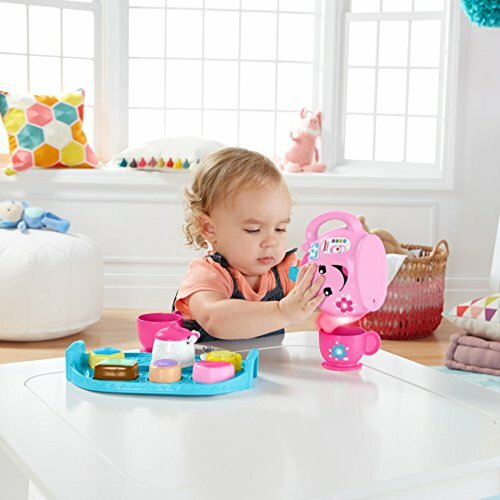 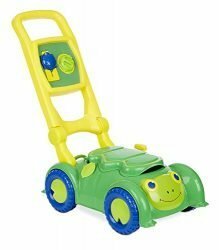 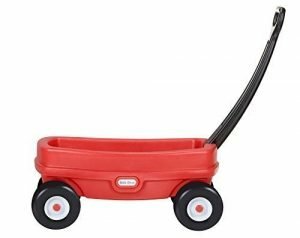 Where development comes into play Academics: Sung songs and phrases teach toddlers advanced shapes, numbers, manners, and expanded vocabulary. 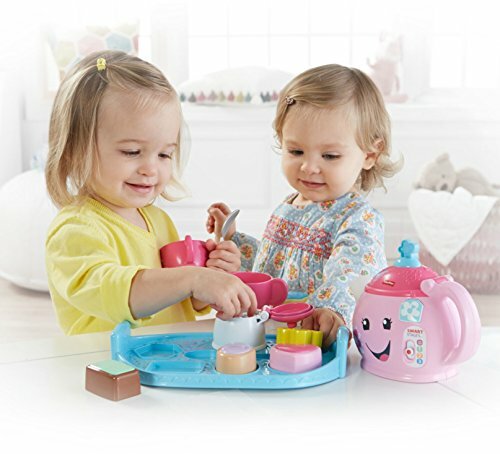 Communication Skills: Tea for two encourages kids to play together, have conversations, and take turns talking. 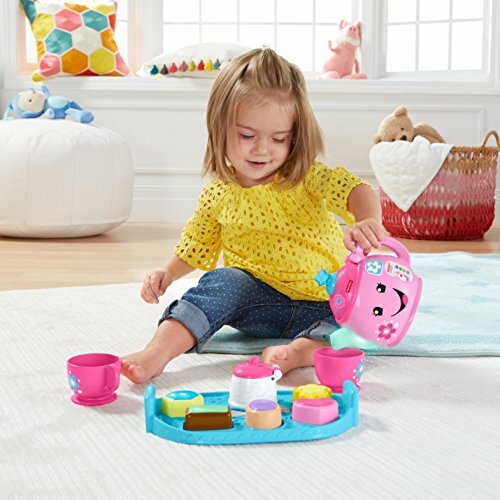 Creativity & Imagination: Children engage in early role play as they interact with the play pieces and “magical” teapot. 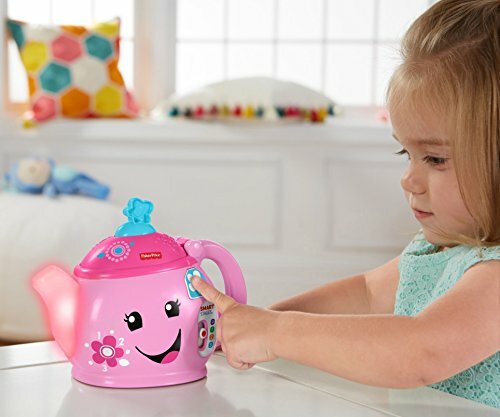 “Magical” teapot spout lights up as toddlers pour out the fun!